The slid in the car demands due to economic slowdown has a little impact on Audi Q3 demand. A far as sales are concerned, Audi India stole the limelight in the month of June as it registered a jump of 76 per cent in car sales in India. Now, riding on the success, Audi India has opened bookings, which will be its second round of bookings for Q3 SUV. The Audi India will put only 500 units on sale for the second round of the booking. 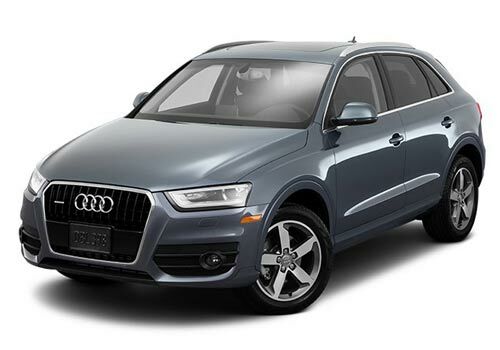 Now, Audi Q3 lovers have a chance to grab the keys of the car as the second round of booking is now open. If taking about sales figures, Audi India managed to sell 718 units in the month of June only. If we compare the figures with the corresponding period last year, Audi India had sold only 408 units in June 2011. So, it has registered a growth of around 76 per cent. Now, to the German Car Marker the Audi Q3 has managed to give a reason to smile even in the period which is proving as a cruse for the car makers especially for the companies dealing in petrol cars. Audi Q3 had in just five days managed to book 500 units soon after its launch in India recently. Also, in the first half of the year, Audi India has shown its magic and registered a growth of 43 per cent in sales. From January to June so far, Audi India has sold around 4,000 units of Audi cars in India. From January to June in 2011, Audi India managed to sell around 2,802 units of cars. So Audi India registered a growth of 76 per cent in June 2012. Now, Audi India is challenging bad economic indicators including inflation, high fuel prices and also high interest rates. But, despite of that, Audi India is confident to registered high growth rate in India because of its strong customer base. Meanwhile, there is another car maker that has also decided to bear the bad weather fairly well and it is Renault India. All set with the Renault Duster launch on July 4, the French car maker hopes to have an overwhelming response for the SUV. The unbeatable suv by audi. It makes me proud to be an owner of this car and wherever i go i get praise by it.